KUALA LUMPUR (Feb 13): Gas Malaysia Bhd fell as much as 18 sen or 6% after the company reported full-year profit and dividends, which missed market forecasts. The latest financials have invited analyst downgrades on the stock. Gas Malaysia (fundamental: 2.1; valuation: 0.9) fell to its intraday low at RM2.96 before reducing losses. At 12:30pm, the stock settled at RM2.99 with 964,300 shares done. The stock was the ninth-largest decliner across Bursa Malaysia. Affin Hwang Investment Bank Bhd said it had cut its target price for Gas Malaysia shares to RM2.50 from RM3.35 and downgraded the stock to "sell". The downgrade is in tandem with Affin Hwang's reduced earnings forecast for Gas Malaysia to between 48% and 51% for 2015 to 2016. "The lack of earnings visibility due to uncertain margins and lower dividend yield of 2.6% (100% payout assumption) in 2015 suggests that the stock lacks catalysts," Affin Hwang said. 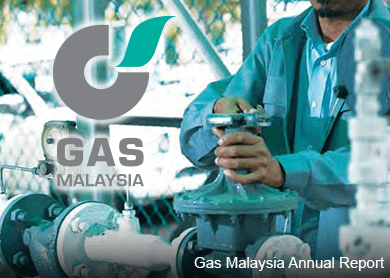 Yesterday, Gas Malaysia said net profit fell 42% to RM23.34 million in the fourth quarter ended December 31, 2014 (4QFY14) from RM40.16 million a year earlier. Full-year net profit was lower at RM167.63 million versus RM171.44 million. Gas Malaysia plans to pay a dividend of four sen a share for 4QFY14, bringing full-year dividends to nine sen.
Gas Malaysia's financials came in below market estimates. Today, Affin Hwang said Gas Malaysia's FY14 net profit of RM167.63 million came in at 77% and 75% of Affin Hwang's and consensus full-year forecast respectively. Affin Hwang said Gas Malaysia's FY14 dividends of nine sen a share also came in below expectation. This is because the nine sen dividend constituted a payout ratio of 69% versus 100% in the past.